Are you picking up a Nintendo Switch tomorrow? 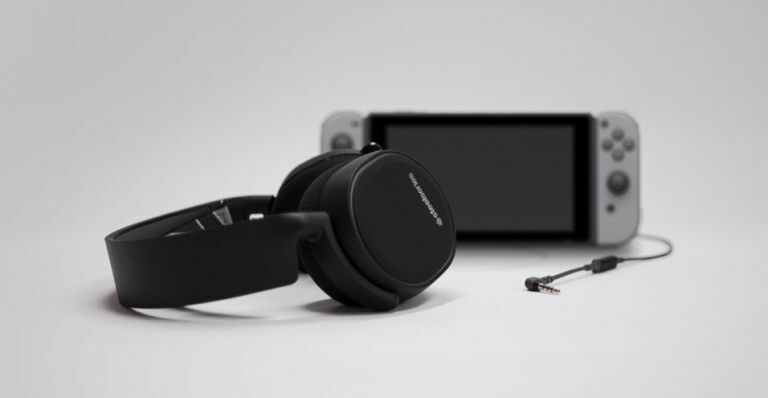 Got one on pre-order but now you're wondering which headset is right to make those handheld gaming moments really special? Why not invest in the highly-recommended Arctis 3 from SteelSeries. This headset range is one of the best sets of cups we've tried for gaming, and comes compatible right out of the box for your new favourite console. With rich tones and meaty bass ready to massage your lugholes, the Arctis 3 is an ideal way to enjoy Breath of the Wild on the go (or from the comfort of your sofa). B&O Play has just unveiled the latest addition to its portable speaker range, the Beolit 17. The top and the bottom of Beolit 17 is made of robust polymer that can withstand the rigours of everyday life, and with up to 24-hours of portable performance, you can easily take the speaker with you anywhere. The grill wrapped around the speaker is made of anodized pearl-blasted aluminium and the handle, designed for portability, is crafted from premium grain leather. On the top of Beolit 17 is a non-slip and scratch safe tray, where you can safely place your smartphone of choice. Beolit 17 comes with a handy 'one-touch connect button' that can be customised via the bespoke Beoplay App. Here, you can choose between four different functions that will be activated when you press the connect, including Connect (for linking up to Spotify, etc), Alarm (to wake you with music), Remote (for quick, easy access to play options) and ToneTouch (for accessing your fave ToneTouch audio presets). Beolit 17 is available in Natural and Stone Grey with a retail price of £449. It launches today, so why not head on over to B&O Play to order yours. Whirlpool has unveiled a brand new induction oven, the AKZM 8920/GK, which cooks food in up to half the time, using up to 50 per cent less energy. The appliance features a unique induction shelf, which generates a magnetic field that directly heats the special induction tray for extremely efficient, speedy and precise cooking. The induction oven cooks your dishes evenly, with extra succulence and, of course, there is no need to pre-heat the oven. That's right, it's the Magneto of home appliances. Should you want to cook lots of dishes all at once, using multiple shelves, simply remove the induction shelf and use the appliance as you would any other Whirlpool multi-function oven. Make use of the oven’s many features including Cook3, which enables the cooking of three different dishes at the same time, without the flavours or aromas mixing. For more info on the Whirlpool AKZM 8920/GK head on over to whirlpool.co.uk.